I originally was trying to remedy a problem with a Windows Server 2008 R2. I found out that the VMware video driver is the culprit. 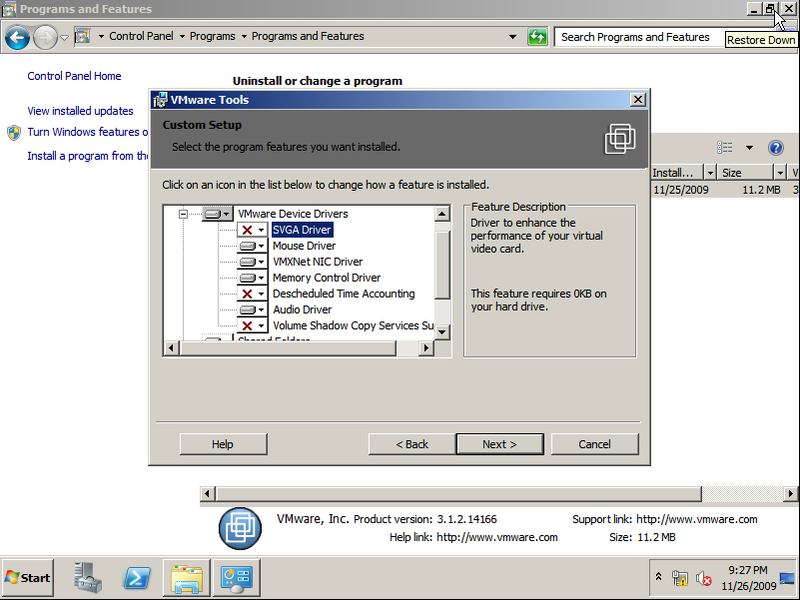 The problem seems to occur on ESX Server 3.5 and 4.0 with Windows 7 and Server 2008 R2 virtual machines. The remedy is to uninstall the VMware SVGA video driver and/or don't install it with the VMware tools. 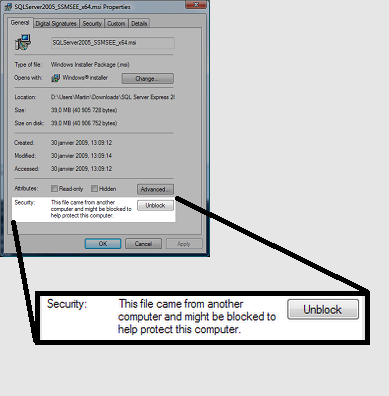 The problem was the video locking up and the system not properly responding. 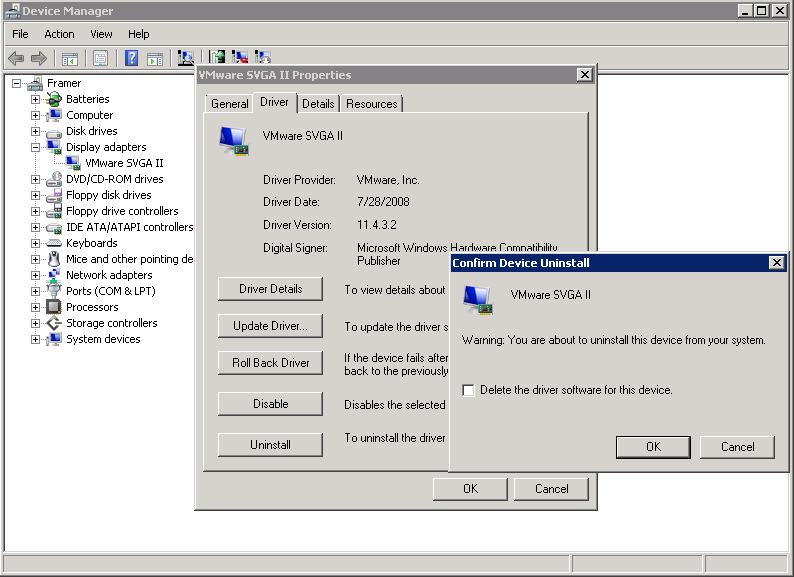 You could RDP into the virtual machine, but it wouldn't reboot or shutdown under it's own power; You had to turn off the VM power and restart it. So far, so good. Hopefully, the SVGA II driver will be updated soon.